Writers with talent fill our bookracks and lit journals and, with his new collection A Fingerprint Repeated, Jeffery Condran assuredly demonstrates that he is one of them. Yet his stories exhibit the more rare traits of poise, patience, and what one might call wisdom. Condran populates his fiction with thoroughly imagined characters, all of whom bespeak the depth of his sensitivity and imagination. Their desires and anxieties emerge from deftly drawn backgrounds, and we readers feel as if we’ve been given the interior view of ourselves and those most like us. That eerie familiarity is Condran’s stock and trade, and we are simultaneously edified and horrified by it. In other words, the stories in A Fingerprint Repeated depict who we are at this moment, and the portraits aren’t always flattering. These inside views are especially crucial since Condran’s stories chronicle various delicate interactions between Americans with European heritage and Middle Easterners, specifically Muslim Arabs. Most frequently the characters to which we’re given access are American whites, hailing from the Rust Belt, who encounter and strive to understand those who have been vilified and stereotyped by American culture, especially since 9/11. One story that illustrates heightened anxieties about the relationships between white Americans and Middle Eastern Muslims is “Housewarming.” A recently married couple named Michael and Jenna, a little stunned by their comfort and contentment so soon after their nuptials, throws a dinner to which is invited a woman named Christine, who’s just escaped an abusive marriage to a Saudi. When the brother of the abused woman announces to the group that their family “‘tried to warn Christine about Arab men,’” Jenna asks, “‘You think the problem was his Arab-ness?’” As the table affirms that it’s “[a] sad truth . . . the way they treat their women,” Jenna’s husband Michael reflexively recalls Jenna’s one-time Jordanian boyfriend as a rejoinder, to illustrate that involvement with those from the Middle East isn’t a good idea. “‘He promised to marry you and then he abandoned you,’” he tells her, but this reply only serves to deepen the rift between them. As is often the case, the truth isn’t nearly so simple, and Jenna still harbors feelings for the Jordanian and can’t help but see the manifold ways he transcends the type Michael and the others describe. The stories insistence on character complexity and the idiosyncrasies of our relationships to the Middle East allows them to transcend the often hollow rhetoric of politics. Here the personal trumps the political and implies that perhaps all discourse that seeks to generalize is, at best, deeply flawed. 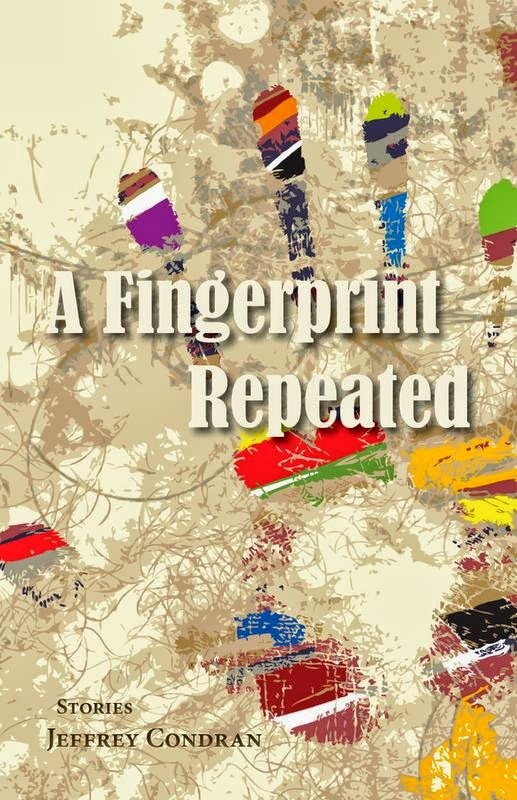 Purchase A Fingerprint Repeated HERE.